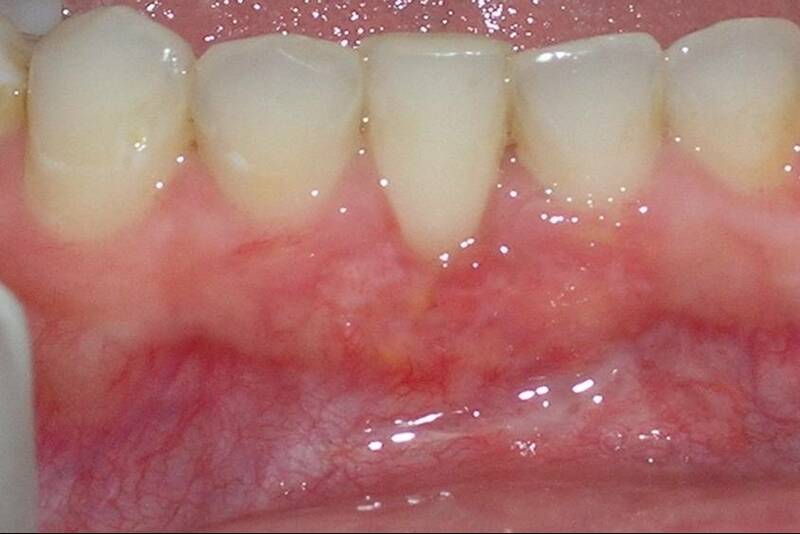 This patient presented to Dr. Weber with severe gum recession. 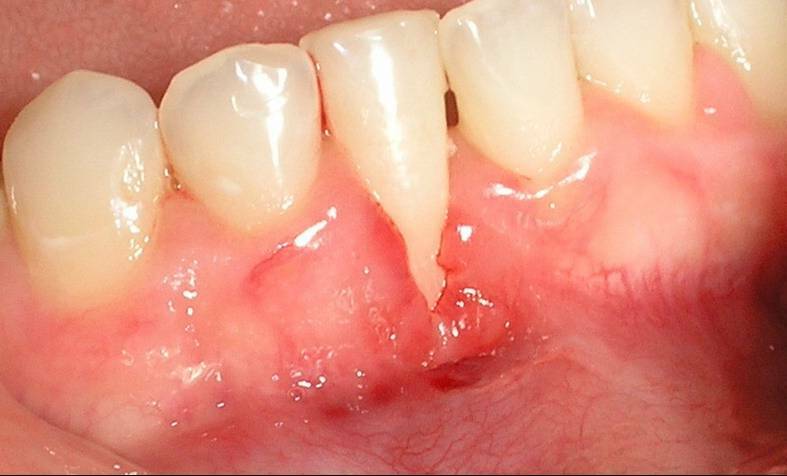 The patient was unaware of the condition, but the tooth was at significant risk of being lost. A connective tissue graft (with pedicle) was performed and the tooth was saved. The photograph was taken 4 weeks after the procedure. 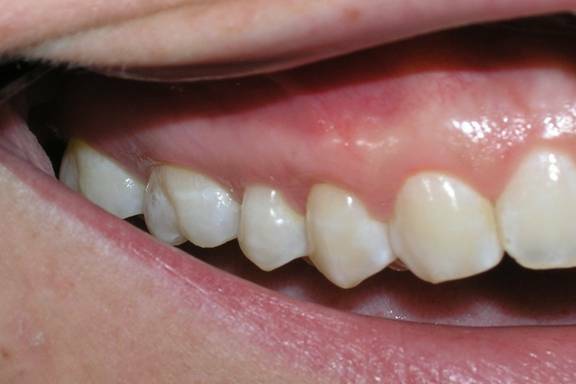 This patient presented with gum recession and symptoms of cold sensitivity. This made it difficult to brush properly and eat or drink. Also, the lost attachment jeopardized the prognosis of the tooth. 3 months later, the graft is stable, the patient can eat, drink, and brush with comfort. The prognosis for these teeth is good. The graft will blend-in further over the next 12 months. 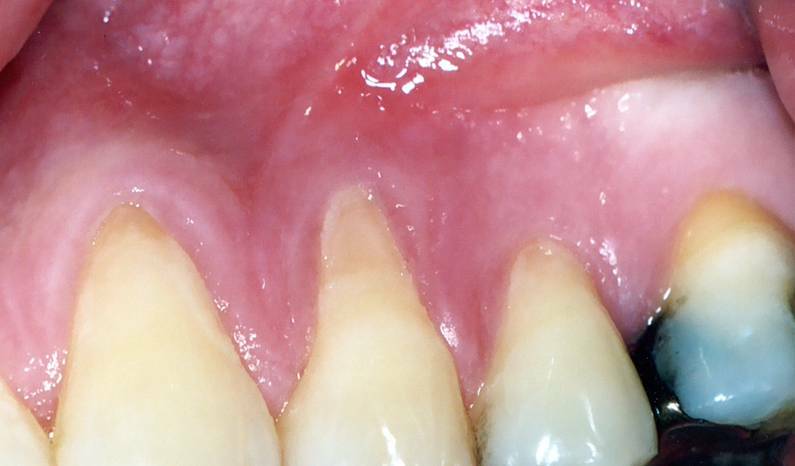 This patient presented to Dr. Weber with a failing tooth colored filing. 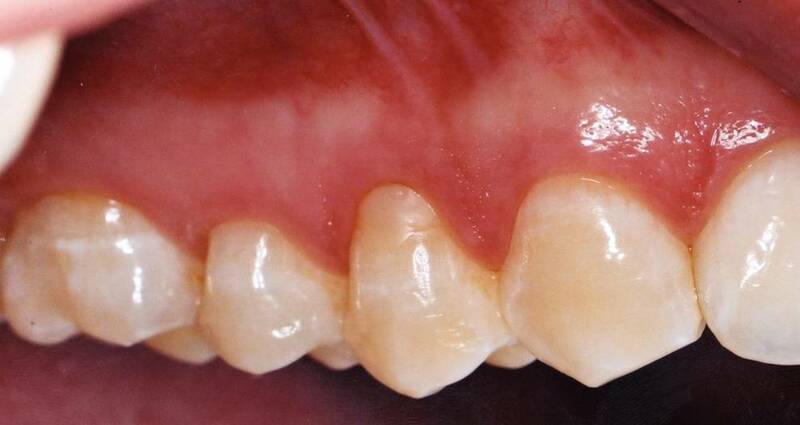 The filing was removed, and a gingival graft was placed. Months later, the graft has integrated and the patient has no sensitivity. 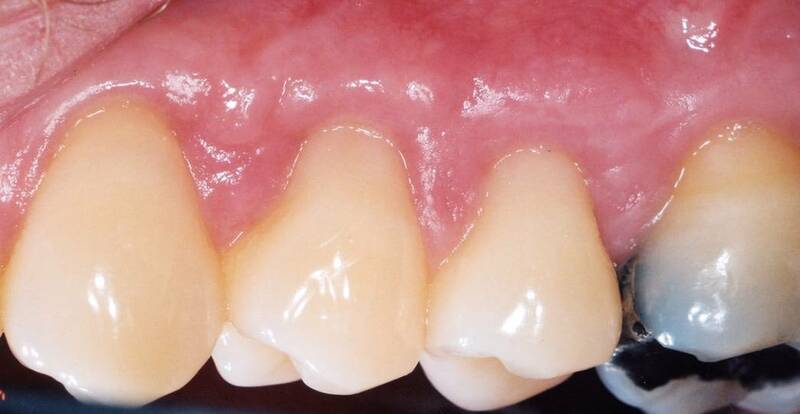 The benefit of soft tissue grafting over a filing is that a graft should never need replacing, is your own (or becomes your own) tissue, and looks better! Filings frequently need to be replaced after 5 years. If you have any questions about soft tissue grafting, please contact our office at 636-379-6905.